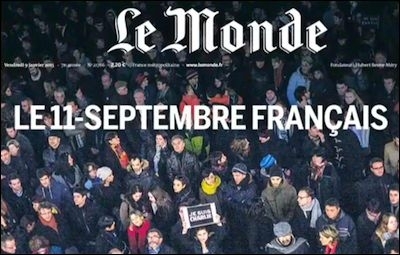 The French people appear united in the aftermath of the Charlie Hebdo murders. The jihadist killing spree in Paris last week has been described as "France's 9/11" by Le Monde, the French liberal daily newspaper. Indeed, just like the American 9/11 fourteen years ago, it was a moment of truth: for France as a nation, for the French political class and — last, but certainly not least — for French Jews. The question, however, is not so much whether one sees the truth or not, but rather what one is supposed to do once truth has been seen. America's instincts after its own 9/11 were sound: it understood that it was in a state of war and that it had to react accordingly, but it wavered about what war to wage and what strategy to follow. As a result, the War On Terror, in spite of considerable American and Western investment, pugnacity, and heroism, has been largely inconclusive and even, in many respects, a failure. Likewise, whatever the emotional or philosophical impact of the present French 9/11, either in France or abroad, it is not clear whether it will translate — or can translate — into adequate policies. It all started on January 7, with the massacre at the offices of Charlie Hebdo, a satirical magazine located in Central Paris near Bastille Circle. Two men in their early thirties, the brothers Said and Cherif Kouachi — French citizens of the Muslim persuasion and of Algerian descent — murdered eight journalists and cartoonists who happened to be there, as well as two menial workers and two policemen. Some other people were wounded. According to witnesses, the terrorists claimed they were "avenging Prophet Muhammad." In 2006, out of defiance against Islamist intimidation, Charlie Hebdo reprinted the caricatures about Muhammad previously published by the Danish magazine Jyllands-Posten. In 2011 and 2012, the French magazine published further sets of anti-Islamist caricatures with Muhammad as a main character. The Kouachi brothers were able to flee Paris in spite of an enormous manhunt that involved thousands of policemen and gendarmes all over Northeast France. 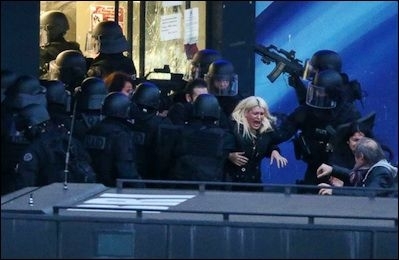 Eventually, they were trapped and shot on January 9 by special antiterrorist units at a printing office in Dammartin-en-Goële, some 30 kilometers east of Paris. There is evidence that the Kouachi brothers and Coulibaly were close associates in a single al-Qaeda network. In the meantime, on January 8, another terrorist, Amedy Coulibaly, 33, a French Muslim of Senegalese descent, shot a policewoman at Montrouge in Southern Paris and fled. He was apparently looking for a Jewish school located nearby. On January 9, Coulibaly attacked Hyper Casher, a kosher supermarket in Eastern Paris. He killed four customers and wounded several others. About fifteen customers, including a mother with a baby, were able to hide underground in the shop's refrigerated rooms. Coulibaly was shot by the antiterrorist units later in the evening. There is evidence that the Kouachi brothers and Coulibaly, all three of them with criminal records, were close associates in a single al-Qaeda network extending to the whole of Paris and even to Belgium, and that they had coordinated their operations. One may surmise that they saw themselves as "holy warriors" and their victims – both the cartoonists and the Jews – as undifferentiated enemies of Islam. One may also surmise that, deadlocked as they were in their gore fantasy world, they did not grasp the full dimension of their murders. Charlie Hebdo had modest origins. It was a safety valve under Charles de Gaulle's semi-authoritarian regime. It became the vanguard of the 1968 May Revolution in France, the student riots that turned into a general strike and led to a near disintegration of all authority. Hara-Kiri was published as a monthly until 1985. 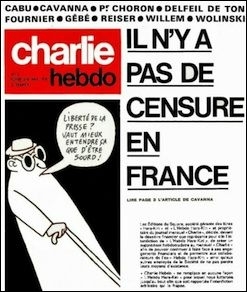 A weekly version was however launched in 1969, as Hara-Kiri Hebdo, and then, after it was banned for having ridiculed de Gaulle's funeral in 1970, as Charlie Hebdo. With ups and downs, this is the magazine that has survived until this very day. It helped that almost everybody in the original team — writers and cartoonists — started parallel careers as very well paid contributors to the mainstream media: François Cavanna, who served as editor in chief throughout the 1970s, became a best-selling memorialist; Jean Cabut, known as Cabu, was both a TV star and a trenchant cartoonist for Le Canard Enchainé, France's political gossip weekly; Jean-Marc Roussillon, a.k.a. Reiser, who passed away at the early age of 42, worked for the posh liberal magazine Le Nouvel Observateur and for many comic magazines as well; as did Georges Wolinski. Over the years, they became so famous as to be celebrated in government-sponsored exhibitions or to be discussed in the academia. While Charlie Hebdo retained much of its original iconoclastic vigor, it underwent a remarkable political evolution. Humorist Philippe Val, who served as editor from 1992 to 2009, recognized jihadism as a totalitarian movement, especially after the 9/11 outrages in the United States, and grew fiercely hostile to the pro-Islamic far left. Moreover, he expressed sympathy for Israel as a democracy under jihadist assault. In 2008, he fired "anti-Zionist" cartoonist Maurice Sinet, a.k.a. Siné, one of the magazine's original stars, as an "anti-Semite." 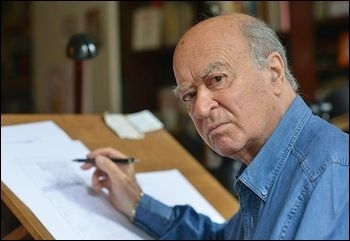 Cartoonist Georges Wolinski, 81, was among those killed in the Paris attack. The much younger cartoonist Stéphane Charbonnier, a.k.a. Charb, who succeeded Val as editor, steadfastly maintained the anti-jihadist line even if he was Siné's personal friend. Interestingly enough, Charb recently entered into a relationship with Jeannette Bougrab, an academic, senior civil servant, and former conservative member of the French government, who as a citizen of Muslim North African origin has been of the most outspoken critics of radical Islam in France. The 81-year-old Wolinski and the 77-year-old Cabu, along with the 48-year-old Charb, were among the victims of the Kouachi brothers on January 7. To the entire French nation, it was not so much an attack on press freedom as the assassination of grandfatherly or brotherly figures. Whether people had actually liked or supported the Charlie Hebdo journalists or not, they had aged or grown up with them: there was something deeply personal about the loss. Vigils and marches were started. Everybody wore "Je suis Charlie" ("I am Charlie") badges. According to pharmacists, consumption of anxiety medication rose by 20 % nationwide. The "Charlie effect" coalesced with revulsion about the ensuing Hyper Casher anti-Semitic massacre. And it brought about, for several days, rare moments of near national unanimity: millions of people marched in Paris and other cities, waving three-colored flags and chanting the Marseillaise, France's national anthem (which is essentially a call to resist barbaric invaders). On January 9, Prime Minister Manuel Valls delivered a passionate speech at the National Assembly, promising both to protect French citizens, including Jews ("without whom France is not France"), and to find, neutralize, and punish jihadist terrorists. He was rewarded with a standing ovation from the entire Assembly and, again, the Marseillaise – something that had not happened for decades. An Odoxa/Le Parisien poll released on January 13 found that 87% of the French said they were "feeling proud" about being French. Yet, near unanimity is not unanimity. What soon became apparent was that only the Old French (the culturally European and Judeo-Christian French) took part in the vigils and marches and that they were delighted to be together, whereas most New French (the culturally non-European and non-Judeo-Christian immigrant communities) stood aside. Most imams issued perfunctory condemnation of terrorism, but were clearly unenthusiastic about Charlie Hebdo's right to make fun of every religion, including Islam (one noted exception being Hassen Chalghoumi, the Tunisian-born imam of Drancy). Even more ominously, one-minute silence ceremonies at school were met with hostility and scorn by Muslim children and teenagers from third grade to high school. Two hundred such instances were reported; thousands of cases were unreported, according to teachers' sources. Dieudonné M'Bala M'Bala, the ex-humorist and anti-Semitic agitator, posted on his website: "I am Charlie Coulibaly," thus deliberately confusing the victims with their murderers. Many people or groups associated with Charlie Hebdo were threatened on the Internet. In the Lyons area, a Jewish jeweler's shop was vandalized. In other words, the ethnic and religious polarization that has befallen France over the past years is growing into an ever more explicit conflict. And this is not small business. Nine percent of France's population is Muslim (over six million citizens out of 67 million). Up to 20% of all French citizens or residents under twenty-four are thought to be Muslims, and in some places the numbers seem to be much greater than that. While many Muslims reject jihadism and clearly identify with France as a democratic nation, religious observance is rising quickly in the overall Muslim community, from 36% in 2001 to 42% in 2014. There is evidence that the more observant Muslims are, the more supportive they are of politically radicalized Islam. For the time being, President François Hollande and Premier Valls are reaping some benefits from the national unity mood. According to a Harris Interactive/LCP poll, 77% of the French do not trust Hollande's politics in global terms, but 83% of them approve of his handling of the terrorist crisis. The president's personal popularity, which was abysmally low, is up to 20%, and the prime minister's, which was falling too, is back to 42%. The real test is yet to come, however. For the time being, the administration has deployed some 10,000 military personnel in public spaces and other locations like synagogues or mosques. It has also engaged in extensive investigation, multiple arrests, and prosecution of terrorism-related offenses. M'Bala M'Bala may be tried soon for his infamous "Charlie Coulibaly" post. Dozens of teenagers may face disciplinary action for their contempt of national mourning. But in the longer run, it is the entire security apparatus of France that must be strengthened and extended, which will cost a lot of money. 87% of French Muslims voted for Hollande and the socialists in 2012. Fighting jihadism earnestly may alienate many of them. As of 2014, France was devoting 31.9% of its national wealth to social programs, against an OECD average of 21.6%, whereas aggregated national defense and domestic security credits amounted to less than 10%. Will the socialist Hollande administration be bold enough to reverse priorities and thus act against its own constituency? A similar conundrum may arise regarding Muslim voters: 87% of them voted for Hollande and the socialists in 2012, and were probably instrumental in their victory over Nicolas Sarkozy and the conservatives. Fighting jihadism earnestly may alienate many of them. Are the conservatives, the centrists and the far Right National Front more likely to benefit from national unity, or at least from the Old French awakening? Can they achieve more than the Left? They, too, must undergo drastic changes in this respect. Many conservatives and centrists are still largely mired in pro-Arab or pro-Muslim delusions inherited from de Gaulle, or too shy to wage war, even on terror. As for the National Front, its views may have been vindicated in many ways by the present crisis, but it sees national unity or even conservative unity only as a way to improve its own standing. French Jews have been only reinforced in their fears and, Valls' warm words notwithstanding, feel that they have no future in their country anymore. Many wonder whether millions would have marched for the Hyper Casher massacre victims only. Most were shocked that Hollande was reluctant to invite Israeli Prime Minister Benjamin Netanyahu to the protest marches on Sunday, and finally invited Palestinian Authority president Mahmoud Abbas. Rue des Rosiers, the historic "Jewish Street" in the Central Parisian Marais district, usually a lively place, was empty throughout the week. So were most Jewish shops and restaurants. Seven thousand French Jews formally completed the emigration process to Israel in 2014. Thousands have informally moved to Israel. More French Jews are migrating to North America or Australia, or even just to other European countries like Britain, Switzerland, and Germany. One synagogue chairman confided to me: "When you have no place to go in your own country, you leave for another country."